While our product priorities are market driven, Cyclone is responsive to individual customers' needs for unique and derivative products. Cyclone has frequently modified our standard products to specific customer's requirements. The criteria for derivations is based on the similarity of your requirements to that of an existing Cyclone product or new development. The rapid development of customer-specific derivations allows our customers to leverage our proven technology, technical competence, and manufacturing capabilities. 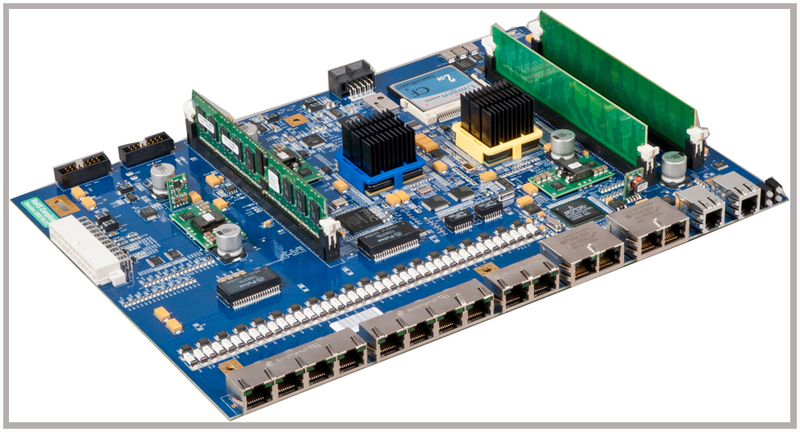 Our customers deploy our products into a wide range of embedded systems across many industires - communications, federal, manufacturing, geological, scientific, entertainment. The common denominator between all our customers is their need to simultaneously move and process torrents of data. For many of our customers, we function as an external, but closely linked, I/O hardware product arm, working closely with them on system architecture, product specification, hardware development, OS support and specific drivers, production, regulatory compliance, configuration management., international sparing and lifecycle support. While we are not a classical design-for-hire company, we specialize in leveraging our existing designs and design expertise to specific applications, and then seeing the product through to production and deployment. Our value equation is simple: the distance to any goal depends on where you start and your execution on the balance. We welcome you to “start” with any of our existing products, mark up the specifications with your unique requirements, and send it to us. For 30 years, we have helped leverage complex embedded programs with our proven technologies and prompt execution. Contact us to discuss your program, special requirements, or for further product information.